My Mom is a simple cook. She always said that if it isn’t fast, easy and microwaveable then it didn’t get made. We grew up eating meatloaf, pot roast, spaghetti, tacos, Hamburger Helper and THIS Lemon Peppered Chicken. I have shared this lemon pepper chicken before, (WAY early in my blogging days also when I did a tribute to my Mom) before I knew anything about food photography (like I really know anything now). And even though my Mom only made a handful of dishes this lemon peppered chicken was my favorite then and is one of my go-to dishes now. 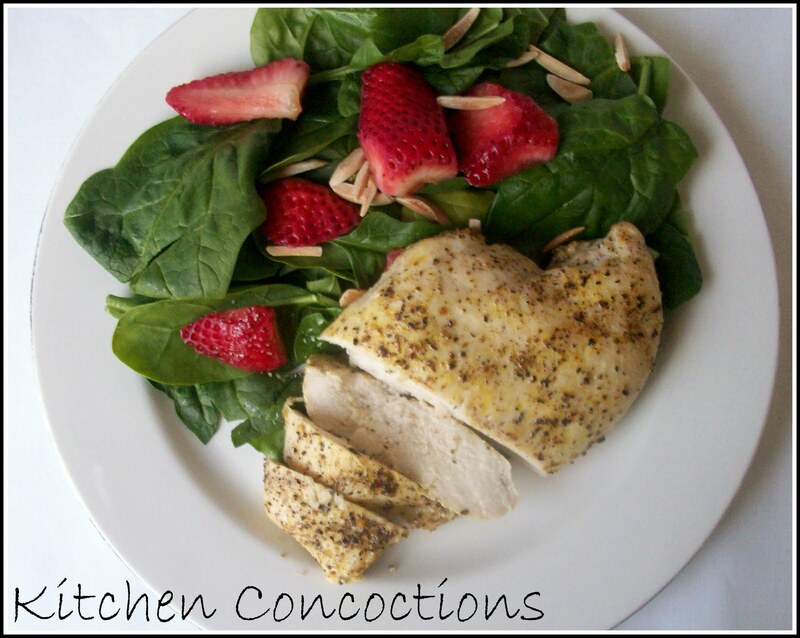 Perfect served with mashed potatoes and veggies or cut up and served over this salad (shown below) I LOVE this chicken! 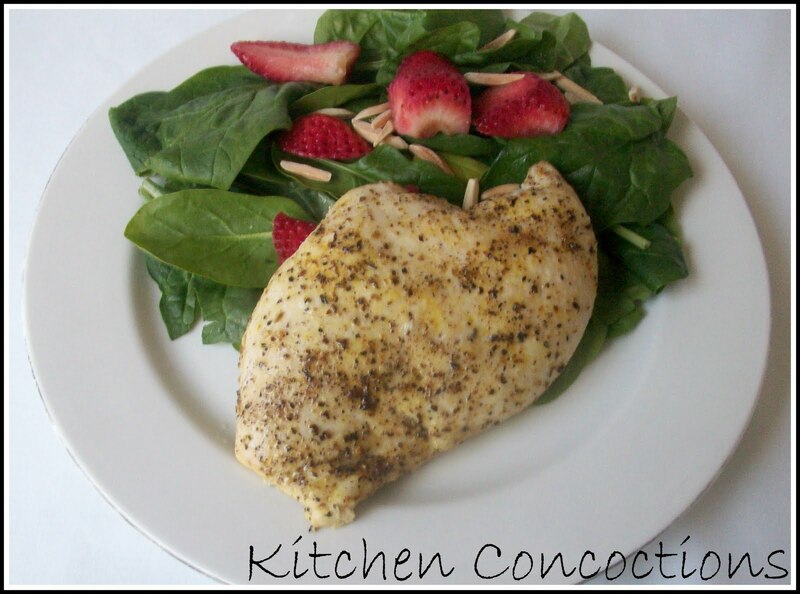 Arrange chicken breasts in a 9×13 inch glass pan. 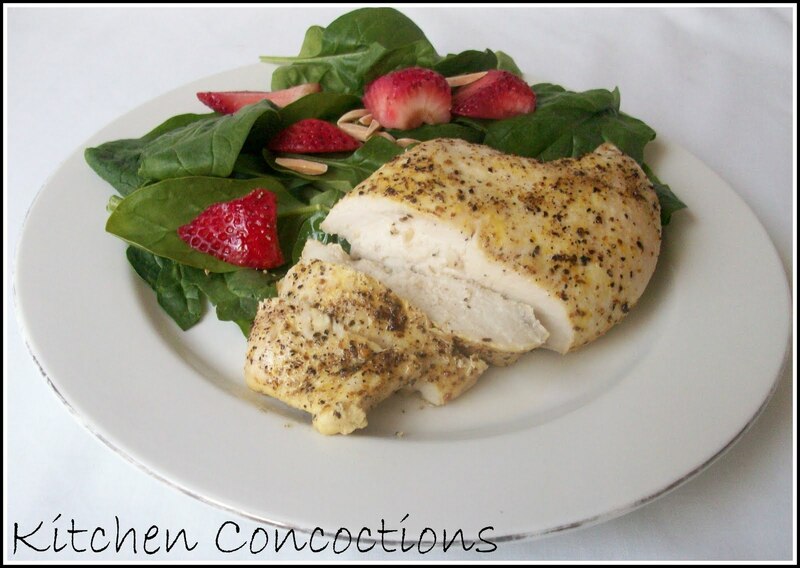 Season chicken with lemon pepper seasoning. Add lemon juice to melted butter. Pour butter mixture evenly over chicken. Bake at 375 for 30-40 minutes or until thoroughly cooked.